I am so excited to share my Christmas cards with you all today, but first… for those of you who voted on my instagram feed on picture A. B. or C (not shown but with more images). I went ahead and chose option C. I couldn’t help myself and wanted more pictures of the family in our card. That said you all rock, and thank you so much for voting. I designed my Christmas cards at www.CVS.com/photo and I love how they turned out. Plus when designing your cards and or selecting just prints, both can be picked up at your nearest CVS store same day, and are available in 4×6, 5×7, and 8×10. I had a hard time selecting my 5×7 Christmas card design becausee there were so many options, and all of them were darn cute. Holiday Cards—hundreds of templates and styles to choose from for a customized creation. 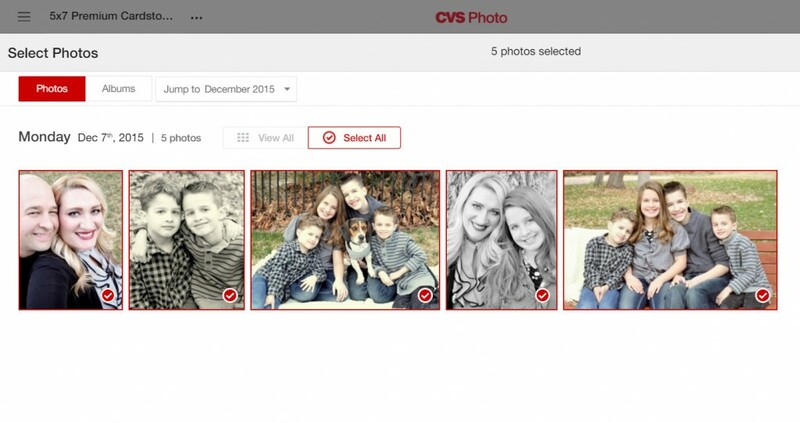 You can upload photos from your camera roll, CVS Photo account as well as your favorite photos from Facebook and Instagram! Plus, I can’t forget to mention, how darn easy and fun it was to do. I loved it. What is super awesome right now is that CVS has a new app for your phone, so you can snap, pring, and pick up same day, and right from your phone. Pretty fab. Now, lets take a look at my Christmas cards. Simply upload, select, and design! BOOM! You can click the holiday card to blow it up, if you would like to see it bigger. wink. 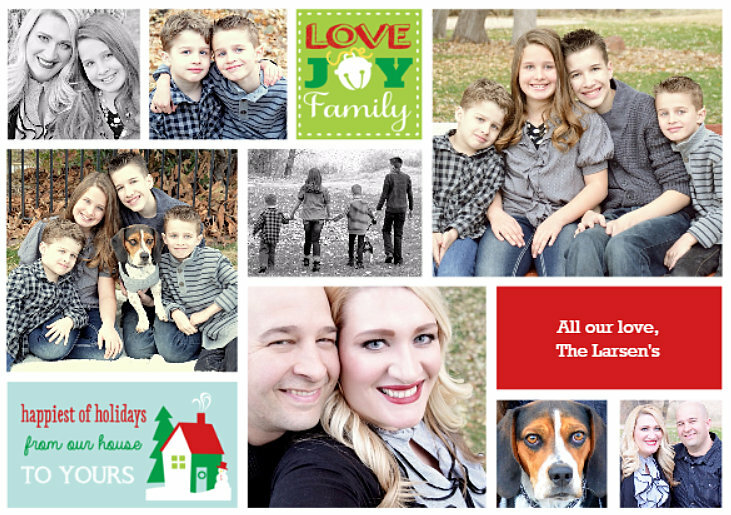 You all, will love and enjoy designing your own Christmas/Holiday cards for your own family. P.S. stay tuned, I will sharing a cute #HolidayHowTo christmas project/craft using holiday prints. Thank you all for visiting today.